Home › Healthy Food › #Janathon Day 5 – rest day and discussions on watching food. #Janathon Day 5 – rest day and discussions on watching food. Not a whole lot to say today, a slow mile running. It had a nice 1/2 mile walk before and after to make sure I burned the calories I ate today.. 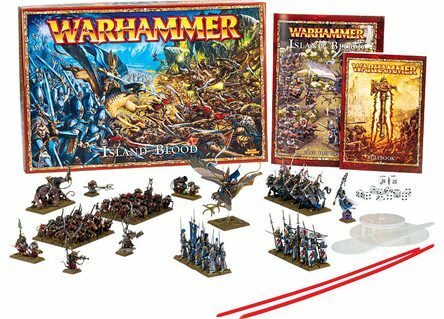 The day at home was mellow – my wife was painting the kids new Warhammer elves and skaven, while they were out playing in the snow. I made breakfast and dinner, and was just mellow on the computer. Seriously, that sums up the whole day for the family…. So on to something else. Eating. We all love to do it (our bodies kind of make sure of that! ), but most of us don’t really pay attention to what is in our food, or what numbers are associated with that food.. Or what those numbers mean for that matter. When going out I can’t say that I was paying attention to wise choices, or to portion sizes either. 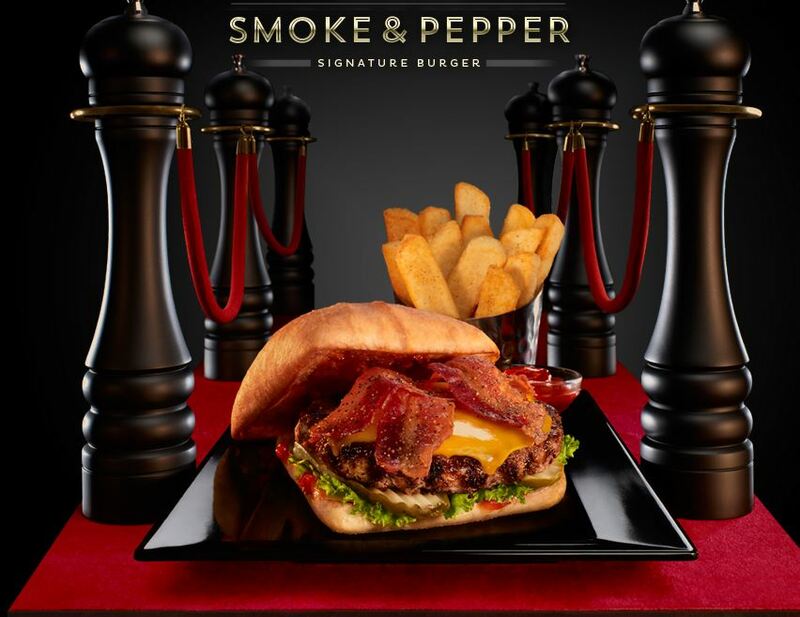 I figured out that one dinner at Red Robin, was over 1900 calories – now that Smoke and Pepper burger was awesome, but I think half the fries and half the burger STILL would have been more than enough and would have given me the same awesome taste! Now, it is certainly OK to eat a meal like that every now and then. A phrase I have always loved – “Everything in Moderation, including Moderation!” -Oscar Wilde. I have always taken this to mean that it is certainly a good thing to periodically NOT worry about the numbers. A fabulous meal as a special occasion, filled with tasty treats of questionable nutritional value – is not going to hurt you once in a while. 3-5 times a week however, is not occasionally. 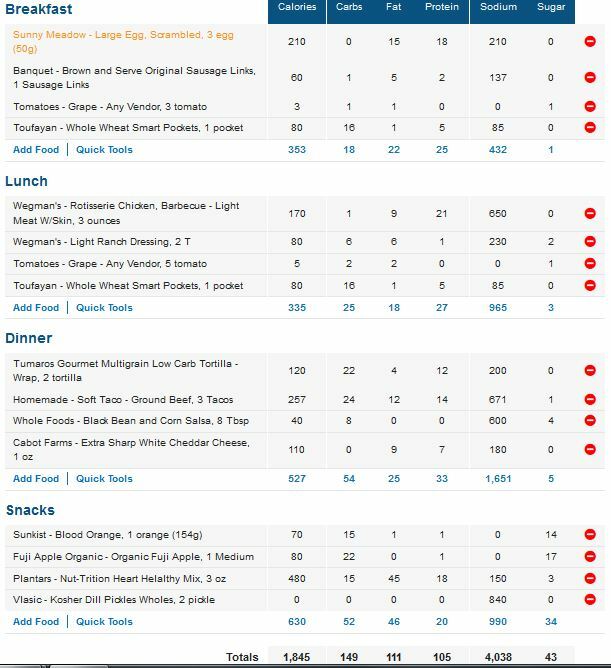 To show you the flip-side, now that I am running/working out again, I am using myfitnesspal once more. Now, rather than just using it to count calories, I actually put my food in BEFORE I eat it. This helps me to control portion sizes, and even make better choices. I have found that if I am going to a restaurant, if I look over the nutrition chart first I will make a completely different choice! If I know I am going out for a special occasion (Such as Valentine’s Day last year) – I will check the menu online and make my choices. If I enter those choices in at the start of the day, I can make my other choices (breakfast/lunch/snacks) with that dinner in mind! This isn’t to say that I am eating “perfectly.” In fact, today’s numbers put me under in calories (by a whopping 199!) but I see that I was way over in sodium, and over in protein and fat. 2/3’s of today’s fat is from mixed nuts that I had – so I’m not overly concerned with it. I don’t see those numbers as a restriction, but as a tool. If I see a number is over I can look at why, and see if it is a big deal. The Sodium I watch, but with working out, I am going to need a higher salt intake than normal, so I also don’t stress that as much. I think that is a good place to start.. If you are going to count calories – count them BEFORE they go in your mouth! It will help you make better choices! If you are going to count calories with myfitnesspal, send me a friend request! ‹ #Janathon Day 4 – I forgot….